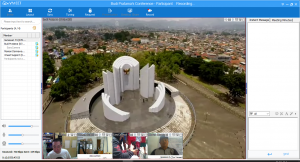 Its not just about the video conference, its about the innovation that presents a meeting, knowledge sharing, and collaboration from a distance, at the most efficient way. WHAT DO YOU WANNA SEE ? 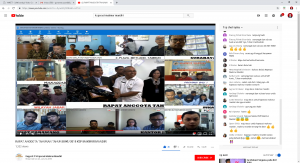 Vmeet-pro terhubung dengan Drone untuk melakukan monitoring lokasi tertentu (lalu lintas, pembangunan sarana/prasarana, komunitas masyarakat, dll) secara live. 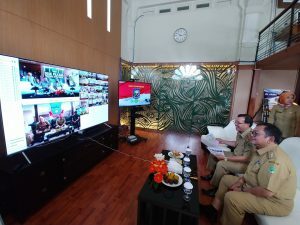 Pada saat melakukan tatap muka dan diskusi melalui video conference, para pimpinan daerah mampu mengamati perkembangan situasi di lapangan secara live dan berbagi informasi dengan para pejabat di tempat lain. Vmeet-Pro application has been used by government, enterprise corporation, education, telecommunication operator, police, and military dept. It's been proven and Vmeet-Pro presents world class video conference with clear audio video and efficient cost of investment and monthly operation. Copyright 2018 VMeetConference.com. All rights reserved.